At Fortis we have really come to respect how much quality affects safety. Our Quality Assurance Coordinator, Ken Ross states, "At Fortis we clearly understand the correlation between quality of product and safety. If you aren’t in control of the quality of your product, you can potentially (even though unintentionally) cause injury or death to others. We’ve all seen examples of this in the auto industry when defects such as wiring issues caused fire, tires blew out and accelerators stuck causing several injuries and deaths." Fortis understands one of the keys to success is getting employees to “buy in” on the shop floor. One of the ways to get that “buy in” is to educate your work force to ensure they understand what can happen when we deviate from the quality control processes that we have in place. If you have any kind of a quality control system in place, you know how important it is to: question something that doesn’t look right, document any issues (even if they are small), communicate between steps, take the time to double check or have someone verify your work, sign off the appropriate steps, have qualified person check along the way, etc. Our philosophy has been “Think of the news article”. When disaster strikes the news reports are often cruel and misleading, reporters don’t worry about the small details of what really happened or whose reputation they are destroying. It’s bad enough that someone was injured or killed, now the ripple effect starts. If you consider the news article approach, you are more apt to take the time to double check and be very particular as to what you are checking and signing off. We coach people only to sign quality control steps that they agree with, to add comments, to seek further explanation and bring issues to their Supervisor’s attention. For example, a welder finishes the last welds on a unit before it goes on to the next step in the process, he or she didn’t complete the welds on top of the unit and doesn’t like the look of them, the welder should sign “I didn’t complete these first welds on the top of this unit, I question whether or not they meet our standards. Please have our Welding Inspector and/or Supervisor re-check them and sign off.” If the welds were up to our standard, then we coach the welder as to how to meet them and (most importantly) thank them for raising the concern. If they weren’t up to standard this person may have potentially saved the lives of people, saved our reputation and kept us out of a news article. Educate your workforce -Don’t sign off on a step that you aren’t happy with, ask questions, write comments, and/or ask for a second opinion, etc. Think of the news article approach. Fortis has taken it's quality control to the highest level by achieving ISO 9001 certification. ISO 9001 is the international standard that specifies requirements for a quality management system (QMS). Organizations use the standard to demonstrate the ability to consistently provide products and services that meet customer and regulatory requirements. 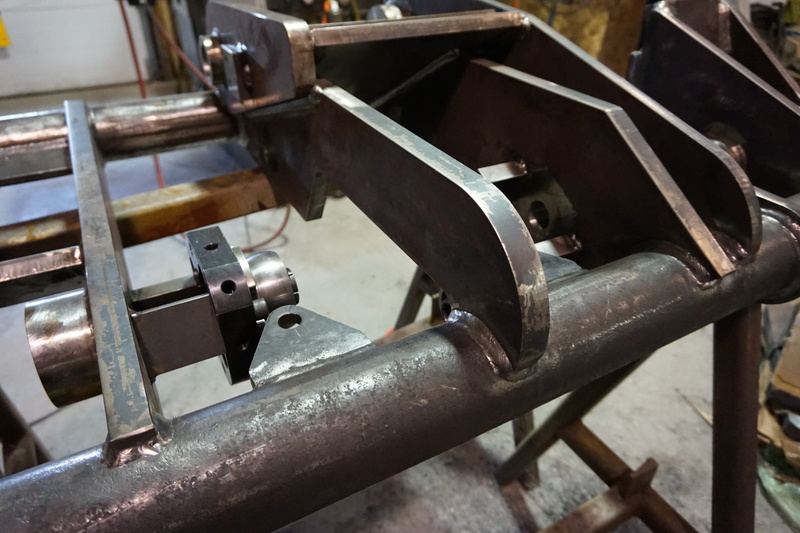 Contact Fortis Mining Engineering and Manufacturing to inquire about our fabrication, machining and welding services. We have CNC machining capabilities and our welding shop is CWB certified.